Abu Dhabi offers plenty to do on a sunny afternoon, but it can be difficult to plan budget-friendly excursions. Here, I suggest a plan for an “expat” afternoon without an “expat” salary. These activities are best enjoyed after 4:30pm, when Abu Dhabi’s merciless heat relents and the sun starts to slowly sink towards the horizon. Start at Corniche Gate 6. To the right of the beach entrance is a bike rental shop. Thirty dirhams for an hour-long bike rental is worth spending the majority of your budget. If you do not have a backpack, ask for a bike with a basket. Ride towards Gate 4. Enjoy the view of the beach to your right. When you get to the intersection between Corniche Road and 30th Street (Al Khaleej Al Arabi Street), cross the street to the left and bike towards Electra Street. 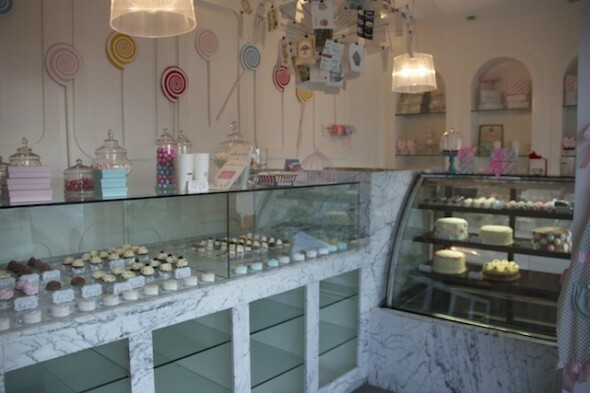 In the corner between Electra and 30th Street, you will find a small desserts place called “Maison Sucre,” which is French for “Sweet House.” When you enter, you’ll think you entered candy heaven. Everything from the ceiling decorations to the aprons hung looks like it’s straight out of a storybook. The bakery has a variety of small desserts including cake balls, cupcakes and macaroons, but keep your eye on the prize – their Nutella cupcake. 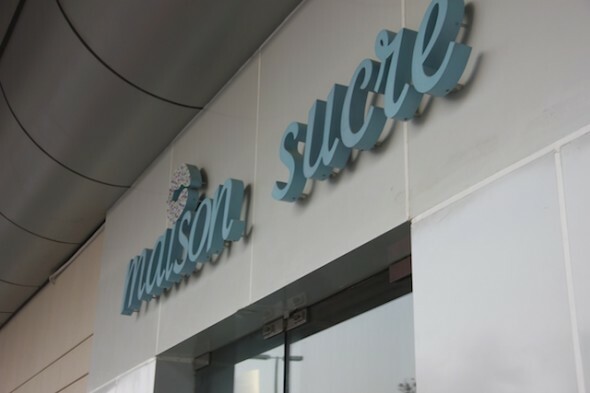 While there is space for you to dine at Maison Sucre, I recommend delaying your gratification and ordering your treat to go. 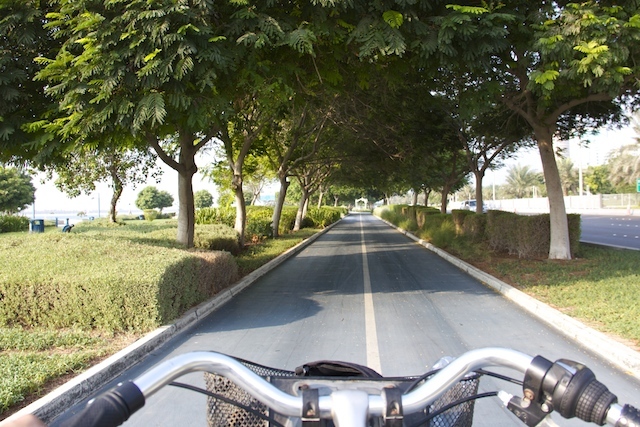 Hop on your bike and ride back towards the Corniche. When you get there, go to your right, back towards Gate 6. 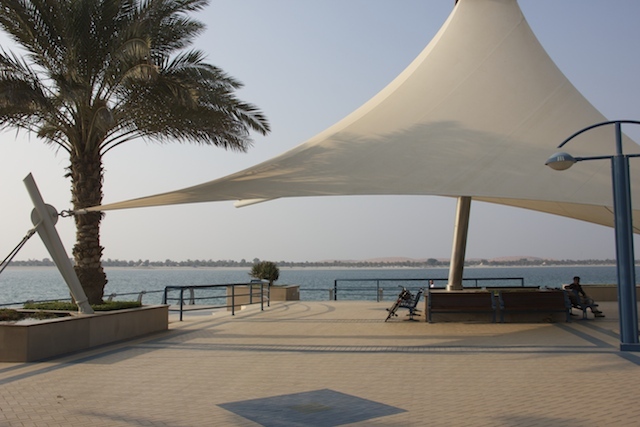 You might forget you are in Abu Dhabi for a moment; the breeze brushing your face and arms assuages the afternoon heat and the tree gauntlet provides a lush veil over the urban view. You will eventually find a small area with benches overlooking the sea. At this point, the sun will have lowered, shining onto the water. Sit under the tent and savor view—and your cupcake! After this hour-long excursion you will need to return your bike, but don’t worry: you still have an hour until it’s dark, which gives you time to go to the beach and celebrate the end of the day with a beautiful Abu Dhabi sunset.